I am sure I am not alone when I say that getting trousers/shorts the right length and waist size for children can be so difficult. I have especially found with Gracie and Zach that I need to size up as they are so tall but then unless their clothes have adjustable waists they are constantly pulling them up. Easybelts aim to help with their easily adjustable VELCRO belts. 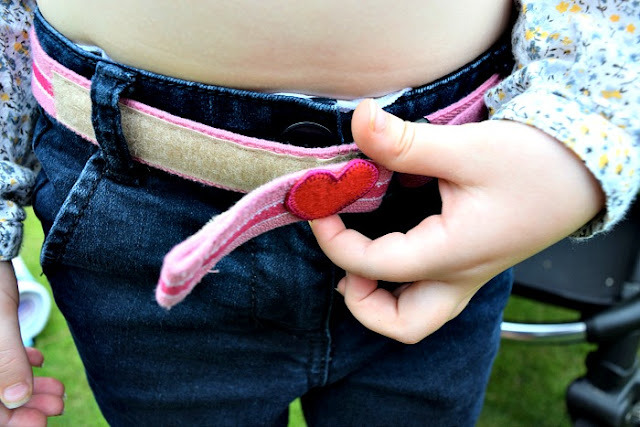 That is right, velcro, no complicated buckle system that leaves your potty trained toddler dancing around stuck in their trousers whenever they need a wee as they simply just open up the velcro to loosen the belt. Easybelts come in a large range of colours and patterns and we got to choose one each for both Gracie and Zach. Gracie chose her own and went for a nice pink stripy belt with a heart motif on the front and I chose a subtle grey stripe with a small greeny/yellow stripe in the pattern as I knew he would wear his much more often and I wanted something neutral that he could pretty much wear with any colour trousers or shorts. The Helpful Tips page on the Easybelts website will help you choose the right length belt for your child. I found it very helpful when trying to figure out which size we would need and although the belts were slightly big when we first tried them on. After contacting Easybelts to explain they pointed out to me that the size was adjustable (silly me!) 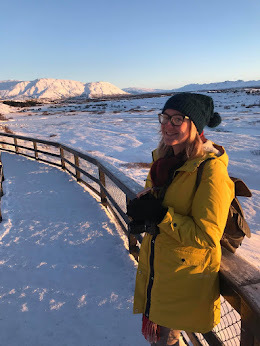 but they were very helpful and said that if the belts still didn't seem the right fit they would happily switch them for the right size for me. A policy which applies to all paying customers with sizing troubles. Of course after a little adjustment they fitted perfectly. Gracie at just 4 years old managed to get the hang of doing the belt up and undoing it herself straight away. This is great as she can take herself off to the toilet without assistance and hasn't had any difficulties at all. She really likes her belt and feels clever being able to do it all herself. Zach however, is only 2 and although he will give it a good go, he still needs a bit of assistance, which is what I expected really at his age. 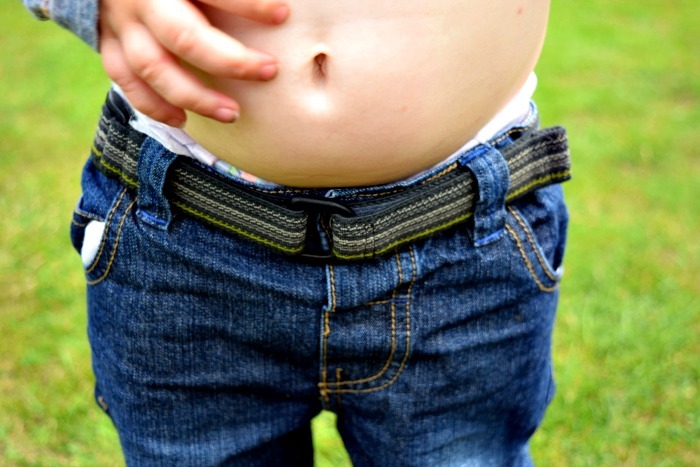 Using the belts with him means that he doesn't have scrunched up waistlines in his trousers as he has been wearing 3-4 years clothes for a while for the length but although he is quite chunky he still doesn't fill the waist of a pair of 3-4 year trousers. One of my favourite things about Easybelts is the range of colours and patterns. They make them fun and attractive to children meaning it isn't a chore to get them to wear them. The belts cost around £6-£7 depending on patterns and motifs which is a great price for an item which will be worn regularly and makes it possible to get a couple of colours without breaking the bank. 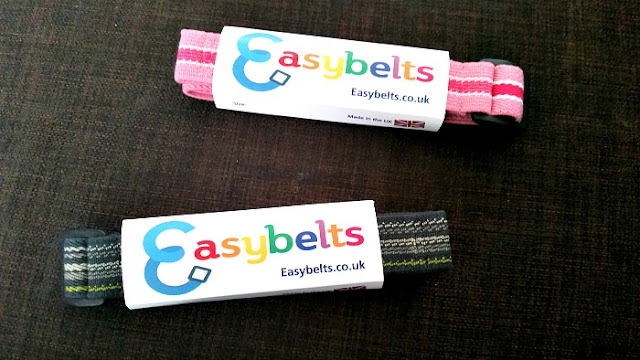 Gracie and Zach really like their Easybelts and I would definitely recommend them to all parents with young children. In fact Easybelts have offered me not one but FOUR Easybelts to give away as prizes. So four of you will get to see how great they are for yourselves. All you need to do is follow the instructions on the Rafflecopter form below. Don't forget to leave your name in your comment if using the anonymous option. Open to UK only. The competition will end 25/07/2015 at 12am. All entrants must complete the mandatory entry on the rafflecopter form. Those who don't will have all entries removed. The blog owner will choose the winner through the rafflecopter form (which uses random.org) The winner will be notified by email and displayed on the widget. Four winners will receive ONE Easybelt of their choice. No alternative prize will be offered. Allow up to 28 days for delivery. I would choose navy with light blue and racing car. My son would love it. My daughter would choose a pink one! Great idea, I'd like the Grey Multi Stripe. Pink, my daughters favourite colour.